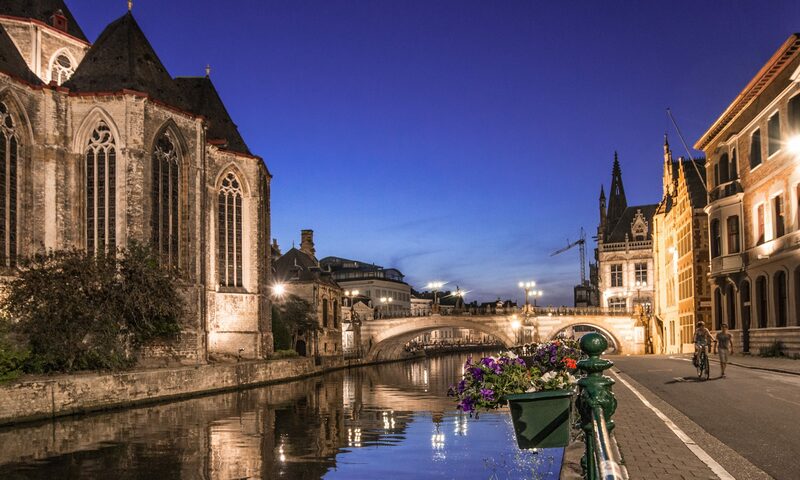 Center for Nano- and Biophotonics, Ghent University, Belgium. In the past few years, new concepts for general-purpose, programmable photonic integrated circuits have been proposed. These stand in contrast to custom-designed, application-specific photonic integrated circuits (ASPIC), in a similar way as electronic field-programmable gate arrays (FPGA) and microcontrollers stand in contrast with application-specific integrated circuits (ASIC). Several programmable PIC concepts have already been experimentally demonstrated on a modest scale, reproducing functionality in programming that was hitherto limited to custom-designed hardware. The PhotonicSWARM project looks into the scaling potential of such programmable PICs, combining distributed optical paths with distributed control algorithms to keep larger circuits manageable. We will discuss these concepts and the recent results in this project, implemented using silicon photonics technology. Keywords: Programmable Photonics, Photonic Integrated Circuits. In this work, we present recent improvements on the stress-optic actuator on the silicon nitride-based waveguide platform (TriPleX) in the telecommunication C-band. In our stress-optic phase modulator the refractive index of the waveguiding materials is controlled by the stress-optic effect induced by actuating a 2 μm thick PZT (lead zirconate titanate) layer on top of the TriPleX waveguide geometry. The efficiency of the modulator is optimized by, amongst others, focusing the applied stress in the waveguide core region through a local increase of the top cladding. Using a Mach-Zehnder interferometer, we measured a phase shift of π, i.e. the half-wave voltage, Vπ, at 12 V and even a phase shift of 2 π at 25 V at a wavelength of 1550 nm using a modulator with a total length of 15 mm. Even smaller voltages were measured for devices using a reduced top cladding. The measured static power consumption of our stress-optic modulator is well below 1 μW as it is only determined by small leakage currents (< 0.1 μA) and, therefore, more than 5 order of magnitude lower than that of conventional thermo-optic phase actuators. The total footprint of the stress-optic actuator is similar to that of thermo-optic actuators due to lower cross-talk to neighboring actuator. These specifications along with minimal excess losses make stress-optic actuator an excellent choice for next generation integrated photonic circuits that require a large number of actuators in silicon photonics in general and in the TriPleX platform in particular. The tuning and locking of a silicon photonics third order microring based ﬁlter suitable for hitless operation is presented. The ﬁlter has 8 nm Free Spectral Range (FSR) and operates in L band with a bandwidth of 42.5 GHz and isolation better than 20 dB. A novel channel labelling scheme is proposed and demonstrated to enable applications in add-drop reconﬁgurable architectures. Keywords: Hitless Ring Resonator Filters, Automatic Control, Tuning, Locking. In this work we report on a fully integrated photonic chip test structure, providing optical amplitude and phase, frequency and time domain resolution for on-chip devices under test. The structure is based on optical frequency domain reﬂectometry, and compared to previous approaches, and by suitable design, it allows for retrieving full-ﬁeld information on the device under test through a single pair of input/output optical ports, with inherent waveguide dispersion de-embedding. As a proof of concept, an experimental demonstration is performed for an arrayed waveguide grating fabricated on a silicon nitride photonic integration platform. Keywords: optical frequency domain reﬂectometry, integrated test device, dispersion compensation, interferometry, arrayed waveguide grating, silicon nitride. We present a matrix addressing approach to drive thermo-optic silicon phase shifters with integrated diodes, allowing time-multiplexed access to the heaters, which reduces the number of pads necessary to drive large silicon photonics circuits. We also demonstrate that such heaters can be driven using digitally modulated signals, which increases the linearity of the phase shift response of the device. Keywords: heater, phase shifter, diode, multiplexed, SOI. We present a novel method to perform tuning and locking of photonic integrated circuits (PICs) in presence of thermal cross-talk. The unwanted phase coupling among different elements of the circuit is canceled via exploiting the eigen-vectors of the thermally coupled system. The effectiveness of the proposed method is proved on PIC architectures, based on microring resonators (MRRs) and Mach-Zehnder interferometers (MZIs).